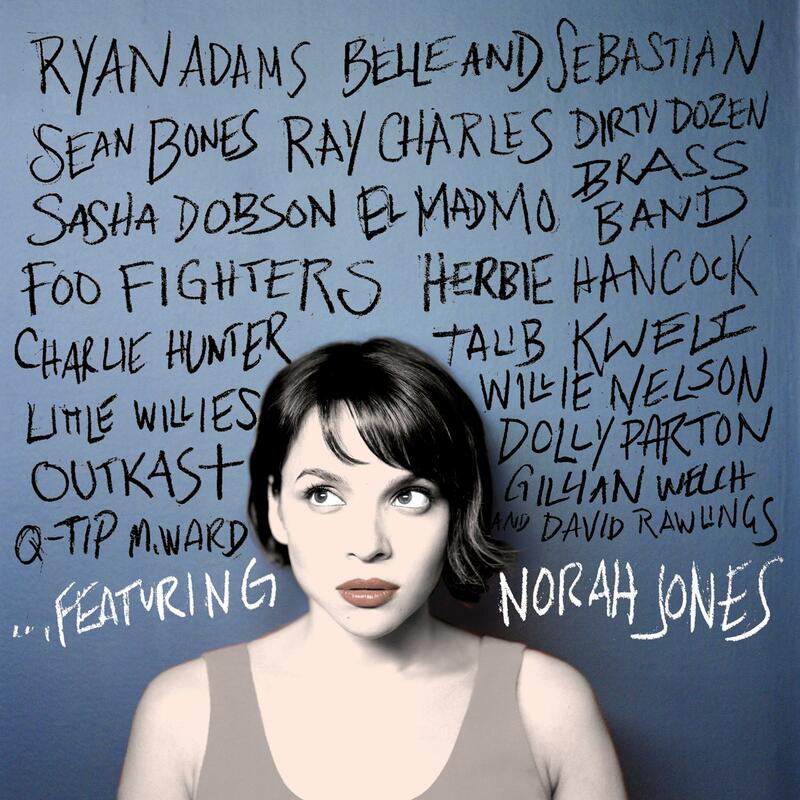 "Featuring," the new album by Norah Jones that released on November 16, 2010, highlights the artist's versatility. The collection of songs include classics as well as Norah Jones originals recorded with various artists throughout her career. Although I don't consider myself a Norah Jones fan, I do respect her work, and have listened to her on occasion. I enjoy the sultry smooth sounds of her voice, but consider her to be more in the "wine sipping, jazz club" genre. 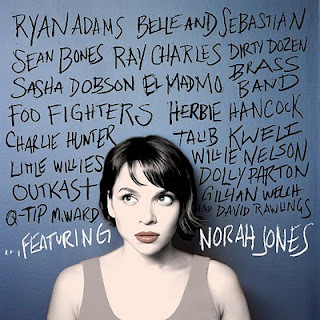 I was very impressed by the diversity of this album, and was pleasantly surprised to hear that Norah is much more than just another pretty voice singing "music to relax to." and I couldn't help but love the sound of the late great Ray Charles on "Here We Go Again." The Dirty South is represented with Outkast, and even the Foo Fighters make an appearance in this celebrity party. I really enjoyed this album. It's sure to be a hit with any Norah Jones fan as well as people that appreciate a variety of music. If you're looking for your typical slow jazz style album, this may not be the best fit for you, but, I recommend giving it a try, with this much diversity there's sure to be something that catches your ear. Disclosure: Thanks to my membership in the One2One Network I was provided with this CD for review. I was not compensated in any other way, but by posting my review I am eligible for a drawing for other prizes. The opinions expressed are entirely my own. 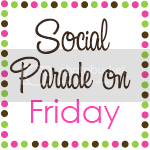 I was so busy baking for the feast at work tomorrow, that I almost forgot to post my blog hop! Which would have been bad, but what would've been worse is if I forgot I was baking because I was posting a blog hop. Then, I would have a bunch of burnt Oooey Gooey Pumpkin Cake on my hands, and that would be awful! (5) Do you hit snooze in the morning? No, I don't have to; hubby does it for me. We'll call this my super uber lame post. The one where I don't write about anything. I can't even call it a fragmented post because for that I would need to have fragmented thoughts and I've just been to busy. And because I've been so busy it seems I've misplaced my head. I just had it the other day, but I don't remember what I did with it. I really should have attached it to my shoulders, but, I forgot. What can I say? I'm forgetful, and now look what's happened. So, while I try to claw my way to the top of this pile of work, could you kindly keep an eye out for my head? I'd love to have it back again. 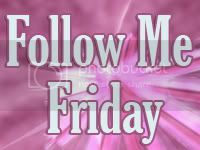 In the mean time I hope you have a happy Friday! (1) What's for dinner tonight? How the heck should I know?! Do I look like a domestic diva?! Seriously, If there's one thing you should know about me, it's that I'm not a planner. I'll figure out dinner sometime, maybe even before I get home to make it. (3) What time do you go to sleep every evening? Back to the planning thing...I have no set schedule. Sometimes, 9 sometimes 12, it just depends on how long I can keep my eyes open...and if there's anything good on TV! 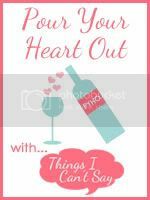 Make sure to come back tomorrow for the blog hop that breathes new life into your old posts; Tuesdays Gone. Look I even have a new button thingy! 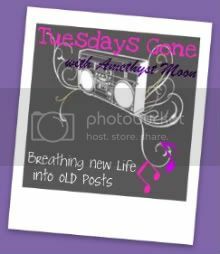 This is Tuesdays Gone with Amethyst Moon, a blog hop to breathe new life into your old posts.